Break out your inner gamer and join in the 2nd annual GAMER COSTUME CONTEST, Saturday during the Southern Friend Gameroom Expo. All genres of “games” welcomed (video, pinball, board, etc.) – creativity encouraged! Those interested in entering the GAMER COSTUME CONTEST (all ages) will need to register at the Markster Con booth in the Garden Court! Bring your suit, tie, and game face to enter this contest sponsored by Markster Con. 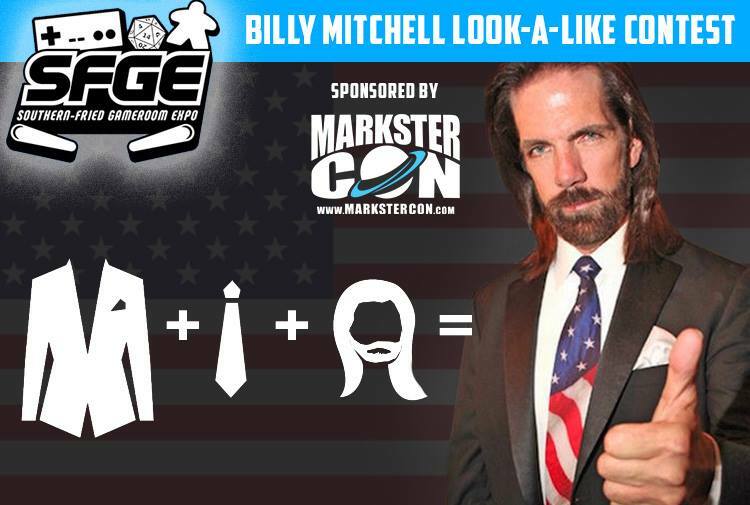 Before the gamer costume contest starts, we’ll have a Billy Mitchell Look-a-like contest. We may even have a guest judge on hand to make it official!